There is a lot to love about moving into your first home. 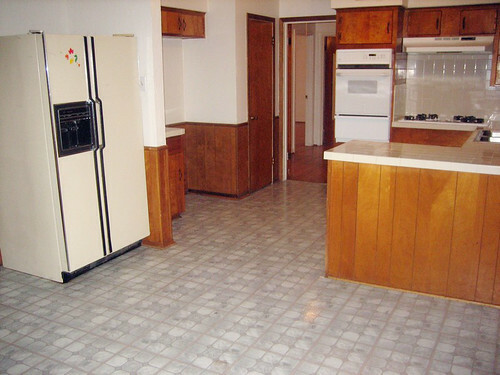 Mine is hardwood floors, gas appliances, and larger kitchen. The duplex had a small corner kitchen with limited counter space. Liked its charm and colorful playfulness. My first kitchen is boxed but open. The 12x20 space shares a dining area and flows well. I can't wait to move in. The refrigerator is the first to go. It's missed placed and stinks!